The "father of American minstrelsy" was Thomas Dartmouth "Daddy" Rice, who between 1828 and 1831 developed a song-and-dance routine in which he impersonated an old, crippled black slave, dubbed Jim Crow. This routine achieved immediate popularity, and throughout the 1830's Rice had many imitators. 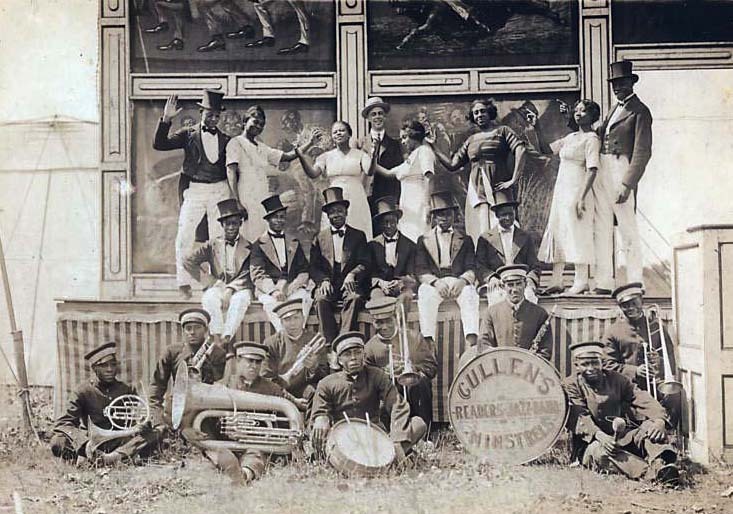 Dan Emmett's Virginia Minstrels, the first blackface troupe, which debuted at New York's Bowery Amphitheatre in 1843. During the 1840s the show was divided into two parts. The first concentrated largely upon the urban black dandy, the second on the southern plantation slave. 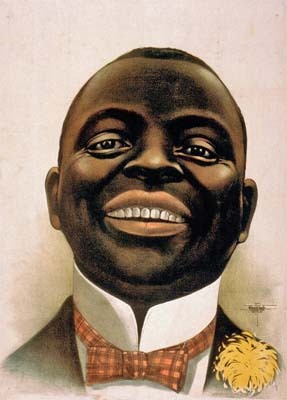 Both featured stereo-typed caricatures rather than genuine depictions of blacks, and were usually demeaning. By the 1850s, however, black elements had been reduced and moved to the concluding section of a three-part show. Music of the "genteel" tradition now prevailed in the first section, where popular and sentimental ballads of the day and polished minstrel songs supplanted the older and cruder dialect tunes. The middle part consisted of the "olio," a potpourri of dancing and musical virtuosity, with parodies of Italian operas, stage plays, and visiting European singing groups. The high point of the show was the concluding section, the "walk-around." This was an ensemble finale in which members of the troupe in various combinations participated in song, instrumental and choral music and dance. Mixed casts of white and African American performers were forbidden by law in many parts of the U.S., but were secretly included in some white companies. After the Civil War, mixed and all-black minstrel companies toured America and Great Britain. Most troupes were all male, using female impersonators in the skits. 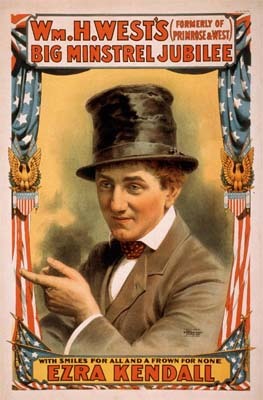 In later years, some minstrel troupes included women and an all-female group, Madame Rentz's Minstrels, toured burlesque circuits in the 1870s. 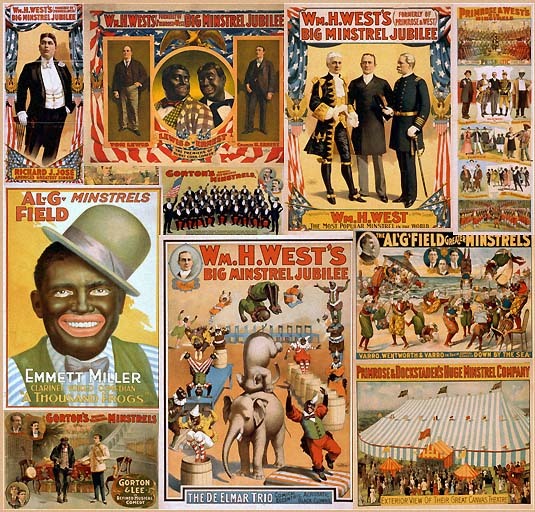 By 1919, only three troupes remained in the U.S. Economic reasons contributed to the decline, as did a growing craze for gigantic minstrel shows, exemplified by Haverly's Mastodon Minstrels, with over 100 performers and lavish stage settings, and the famous Lew Dockstader's Minstrels, who presented elaborate programs related to modern vaudeville rather than to the older, simpler form.